How do we make building better, faster broadband all-fiber networks easier and cheaper? Since 2001, our industry has made incredible strides. Providers, construction companies and equipment vendors are constantly searching for ways to reduce their costs. For instance, equipment vendors have developed simple plug-in devices to reduce the need to splice fiber cable. Construction companies have developed micro-trenching to speed in-ground installation. And providers have experimented with new models of aggregating demand, working with communities to streamline permitting processes and using available assets to the benefit of consumers and communities. We can do more to innovate, and I am confident we will. Local, state, and federal governments also have a major role to play in helping accelerate all-fiber deployments. They control access to rights of way and other infrastructure that are essential for companies to deploy. Many government agencies, from the FCC to state regulators to local governments, have already stepped up to lower barriers to or provide incentives for deployment. But so much more needs to be done. For example, efficient access to poles, ducts and conduit at fair prices has a direct impact on how quickly and cost-effectively providers can deploy fiber. The Federal Communications Commission has sought to revise its policies to ensure timely and fair access to these critical network inputs, but the Fiber to the Home Council service-provider members still find that substantial problems arise in seeking access to these assets, particularly utility poles. For example, too often utility pole owners ignore the FCC’s timelines for surveying and make ready work to get these poles ready for fiber deployments and try to impose conditions, such as fixing any pole “violations” present from existing attachers. Congress could codify these timelines, ensure fair and reasonable cost-based nondiscriminatory charges apply and give the FCC clear authority to impose fines when the requirements are not followed. And in an era where the objective is to encourage ever more broadband deployment, the presence of multiple providers should not mean that there is a race to see who gets permission to access the pole first while others wait. Make ready can and should be done for multiple providers at the same time rather than sequentially. Congress could also ensure providers have access to poles owned by the federal government, cooperatives and municipal entities. This would help ensure that consumers in areas these entities serve—areas that are rural and semi-rural—have the same competitive and reasonably priced broadband services that reach end users in areas served by investor-owned utilities. In addition to difficulty accessing poles, almost every day I hear from one of my service-provider members about such issues as delays in government permitting or government’s failure to enact regulations that ensure access to key private facilities. A service provider in the Southeast filed applications for permits in early 2014 to cross federal property with fiber, but none have been approved. All the provider keeps hearing is that the applications are under review. In another case, a service provider was building a 250-mile fiber route along a federal highway, and 8 miles of this route ran through land controlled by the U.S. Forest Service. The provider built the entire route, except for the portion controlled by the Forest Service. But it then had to wait an additional 6 months for the Forest Service to approve its application. Thus, what should have been a 6-month project took over 12 months. A service provider seeking access to tribal lands was hung up for years as six agencies within the Department of Interior reviewed the application. To be clear: There is no panacea to increase broadband investment and deployment. But at the Council, we have consistently recommended that federal agencies must promote comprehensive strategies to lower regulatory barriers while facilitating all-fiber network builds. We were heartened by the Obama administration’s Broadband Opportunity Council report, which appropriately identified many of the actions that would assist in overcoming some of these hurdles. But it is clear that legislative authority would further their implementation. 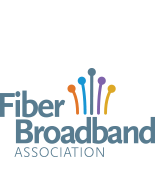 For many years, the FTTH Council has delivered that message to anyone who will listen: Communities need fiber, and there are a host of ways they can organize to make that happen. But the federal government needs to make sure it does not stand in the way. Heather Burnett Gold is president and CEO of the Fiber to the Home Council Americas.